Adam Minter’s perspective on the global flow of recyclable materials that are collected, processed, and sold from Canada and the USA is truly revealing. He grew up in a family of scrap dealers in Minneapolis. He became a professional journalist and now serves as a columnist for Bloomberg View. For the last decade, he has divided his time between North America, China, and Malaysia. Adam joins us from his home in Kuala Lumpur, Malaysia. 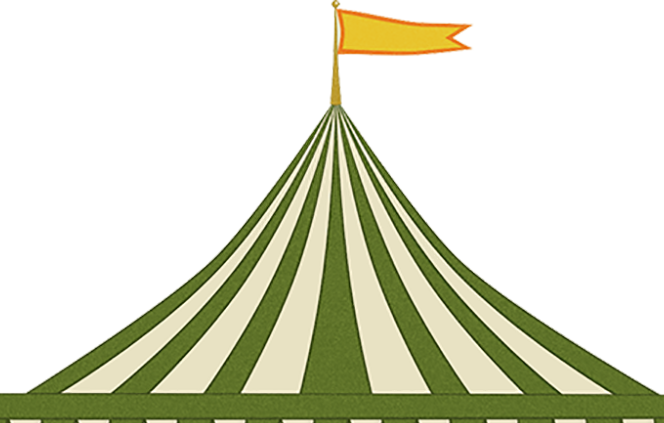 Junkyard Planet is is first book – click here to learn more about the book. Ralph Torrie is an energy systems expert and entrepreneur who helps his clients identify opportunities in the current global energy transition. He developed the conventions that are now used throughout the world for local government greenhouse gas strategies, including for the quantification of the GHG benefits of waste reduction and recycling. He is the co-inventor of environmental planning software that has been translated into several languages and used throughout the world, and he was the author of Canada’s first low carbon scenario analysis – the first such analysis done anywhere. 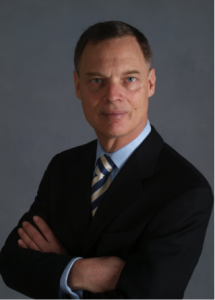 He has served as the Assistant Coordinator of the Energy Research Group of the United Nations University and the International Development Research Centre, Vice President of ICF International, Managing Director of Navigant Consulting, and Managing Director of the Trottier Energy Futures Project. Ralph is sought after as a speaker and thought leader, serves on the boards of several organizations, and is an individual recipient of the Canadian Environment Silver Award for his work on climate change. Green by Nature EPR / Cascades Recovery Inc.
Cascades Recovery Inc traces its roots to 1979 when Al Metauro, along with his brother Anthony started a small waste/recycling business. Their “entrepreneurial spirit and hands on approach” took what began from the back of a pick-up truck to becoming a leading discarded material recovery company in North America. In 1995, Cascades formed a strategic alliance that today encompasses 23 recovery facilities in Canada and the northeast USA, employs in excess of 1,200 employees who together are responsible for collection, processing, and marketing of over 1,500,000 metric tonnes of recovered paper, packaging, and other materials. With the demand for more diversion, Al is leading the development of the company’s “Recovery …Plus” program, a program focused on the recovery of discarded materials for beneficial uses rather than their disposal in a landfill. More recently (2014), Al lead a group of Canadian recyclers to join together and respond to an RFP in British Columbia that resulted in giving the newly-formed group, Green by Nature EPR (GBN), a contract to manage the entire post collection system for the Province. As the CEO of GBN, Al is responsible for the continued development of this new venture with a focus on addressing the needs of the Producers as they take on a more pronounced role in managing their printed paper and packaging. As Managing Director for MMBC, Allen oversees the first 100% Extended Producer Responsibility (EPR) program in Canada where industry assumes full financial and managerial responsibility for the residential recycling system. 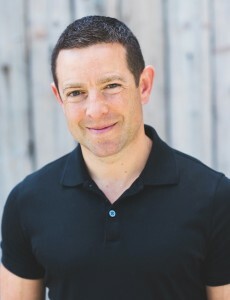 Allen has extensive experience in sustainability and extended producer responsibility, having held leadership roles with the Retail Council of Canada and the Canadian Council of Grocery Distributors, advancing those industries’ responses to a range of complex sustainability issues including climate change, sustainable packaging, EPR programs, responsible sourcing, and animal welfare. 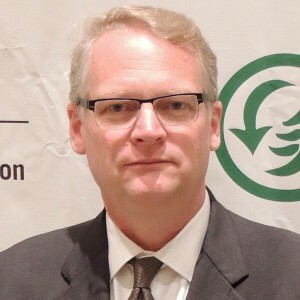 Allen has sat as a Director for several stewardship agencies in Canada including Encorp Pacific, the Electronic Products Recycling Association, Multi-Material Stewardship Manitoba, and the Canadian Beverage Container Recycling Association. Allen is also the Managing Director of the Multi-Material Stewardship Western (MMSW) Program in Saskatchewan. Competence centre. Plarebel accumulates and develops knowledge and expertise on the collection, sorting, and recycling of plastic packaging and packaging waste. They monitor technological developments in packaging and recycling, maintain contacts with existing and potential recyclers, and study the recyclability of new packaging. Monitoring. Plarebel carries out administrative and operational checks in the field. They visit sorting centres and recyclers to ensure the recycling quality that Fost Plus guarantees. In case of complaints about quality, they provide Fost Plus with expert advice. With more than 10 years’ experience in the field of plastic recycling, she has worked with a variety of national and international sorting centres, recycling companies and recycling organizations, contributing to an efficient implementation of the recycling activities in Belgium and across Europe. Her career has led her to specialize more and more in packaging ‘design for recycling’ and new recycling technologies such as bottle-to-bottle recycling. An Vossen is also an active member of EPRO, European Association of Plastics Recycling and Recovery Organisations, where she is leading the Working Group on Bottle Recycling. EPRO and its working groups provide a unique forum for the leading specialists in plastics waste management in Europe to exchange information on technological projects, new technologies, improving quality, etc. about plastic recycling throughout Europe. 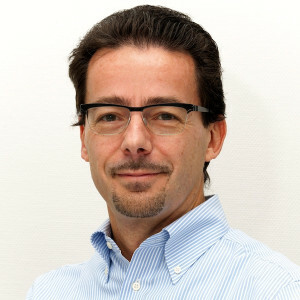 An Vossen – as leader of the EPRO TWG Bottles – has played an important role in the creation of the European PET Bottle Platform (EPBP), a voluntary initiative grouping technical experts in the field of PET design and recycling for the evaluation of new technologies; together, they aim to provide an objective evaluation of new technologies and an independent assessment of their impact on PET recycling processes across Europe. EPBP is supported by the EPRO, Petcore Europe, PRE, Unesda and EFBW. 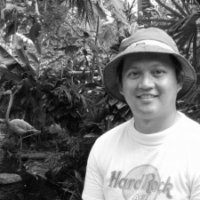 Andrew Doi is an Environmental Planner at Metro Vancouver, who specializes in Extended Producer Responsibility (EPR) programs and policy. Andrew holds a Master’s degree in Resource and Environmental Management from Simon Fraser University and is a Registered Professional Planner. Andrew began working at the Greater Vancouver Regional District in 2001, and he has been focusing on EPR programs since 2008. He participates on a number of working groups and committees, including the Electronic Products Recycling Association, Multi-Material BC, Tire Stewardship BC, and others. 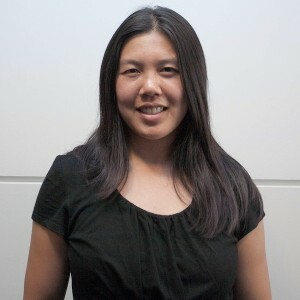 Belinda Li is a Project Engineer based in the Vancouver office of Tetra Tech. She works with municipalities and institutions to assess solid waste systems, facilitate evidence-based decision making, and test strategies to improve waste reduction and diversion rates. Recent projects include a cost analysis for organics collection scenarios and zero waste pilot programs for the University of Alberta, a feasibility assessment for organics processing facilities in the Okanagan-Similkameen, and a waste composition study for the institutional, commercial, and industrical (ICI) sector in Metro Vancouver. She enjoys taking apart complex problems, analyzing all the pieces, and putting them back together into a cohesive and easy-to-understand strategy for decision makers. 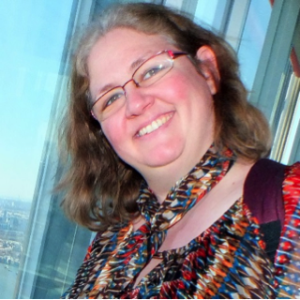 Belinda also volunteers as the chair of WasteAid North America, which formed in June 2015. She’s now venturing into the world of food waste reduction and the intersection of solid waste management with social justice. 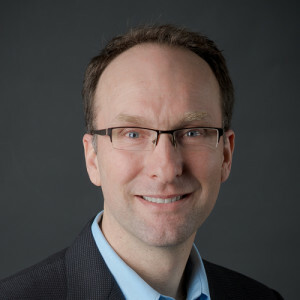 Effective June 1st, 2014, Brad Orr assumed the role of President and CEO of Dow AgroSciences Canada Inc.
Brad received his Bachelor of Science in Agriculture Engineering from the University of Manitoba in 1988. He joined Dow Elanco in 1989 as a Sales Representative based out of Dauphin, Manitoba, and subsequently held sales positions in the Moose Jaw and Regina territories in the Saskatchewan Sales District. Utilizing the experience gained from the sale roles, Brad transitioned into Account Management in London, Ontario, in 1995. From there, he returned to Winnipeg, Manitoba, where he spent ten years in the position of Western Canada Account Manager for Dow AgroSciences. In 2007, Brad relocated to Calgary, Alberta, to assume the role of Alberta District Sales Manager. In 2009, Brad became National Sales Director with responsibility for all sales with the exception of Mycogen and Hyland Seeds. It was from this role that Brad transitioned to his current position of President and CEO of the Canadian business. In addition to his responsibilities with Dow AgroSciences, Brad is also actively involved within the Agriculture Industry. 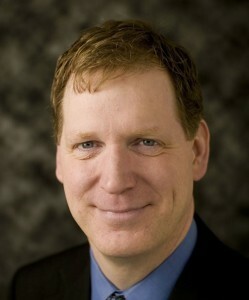 At present, he sits on the Croplife Chemistry Committee as well as the executive committee of CleanFARMS. Brad grew up on a mixed grain farm in Clearwater, Manitoba, where his family still actively farms. He currently resides in Calgary with his wife Loralee and two sons, Liam and Callum. 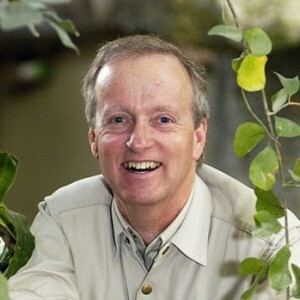 Brian Keating is Honourary Conservation Advisor at the Calgary Zoo and Adjunct Assistant Professor of Anthropology at the University of Calgary. He has been leading groups on nature based travel for three decades, exploring some of the best wildlife areas on the Planet. He’s a weekly guest on both Calgary and Edmonton’s CBC Radio, and for many years, was a regular on the Discovery Channel, using his own wilderness adventure and wildlife filming. He’s in high demand as an international speaker, presenting at some 50 events a year. Brian’s style would best be described as buoyant, fast-paced, humorous, and always uplifting and meaningful. He’s a pilot, a naturalist, scuba diver, and mountaineer. His wife, Dee, is a physician and keen naturalist who always joins him on his adventures. Together, they have explored nearly 50 countries on all seven continents in the last quarter century. 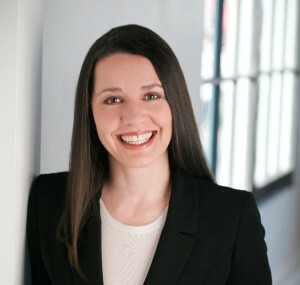 Bridget Croke leads investor and industry partnerships and communications at the Closed Loop Fund. Bridget has spent 15 years designing and building campaigns, often in partnership with brands and companies, to motivate consumers to lead a more sustainable lifestyle. 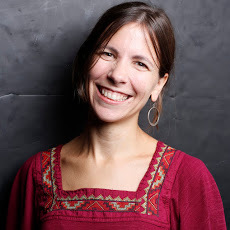 Prior to Closed Loop Fund, she held leadership roles with myActions behavior change platform, social movement consultancy, and incubator Purpose.com; recycling rewards program Recyclebank.com, and the Fair Food Project. When not taking on environmental behavior and systems change, Bridget spends as much time as possible rock and ice climbing, skiing, and playing Star Wars with her 6 year old son. Cameron is a career public servant with the Province of British Columbia. Following completion of a Masters in Public Administration in 1998, Cameron has held management roles with the Ministry of Finance in Treasury Board Staff, the Ministry of Energy and Mines in Oil and Gas development, and with Emergency Management BC. 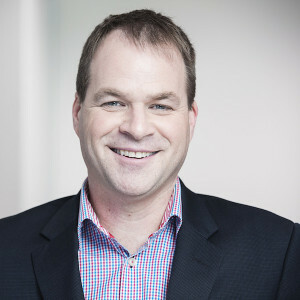 As of March 2015, Cameron is with the Ministry of Environment, where he is executive director of waste prevention, a branch with a focus primarily on Extended Producer Responsibility programs. His bio notes that he brings substantially less experience to bear with respect to his new responsibilities as a first time parent to his daughter who recently turned two. Carlson joined the Infrastructure & Program Management (IPM) Division of the City of Calgary Waste & Recycling Services (WRS) Business Unit last January 2015 as a Waste Diversion Specialist managing the Blue Cart Program. He has been with WRS for 3 years working in the Disposal & Processing Services (DPS) Division conducting waste screening, permitting and approvals. He has also spent some time as an operator of the Leachate Treatment Pilot Plant in one of the City of Calgary’s Waste Management Facilities. Before joining The City, he worked for Tervita Corporation (formerly HAZCO Environmental Services) in the Waste Management and Regulatory groups providing support for the operations of their Hazardous and Non-hazardous Waste and Recyclable Transfer Stations in Alberta. In his spare time, aside from family, Carlson is busy with indoor aquaponics, square foot gardening, and vermicomposting. Chris Diplock is a leader in Vancouver’s collaborative economy. 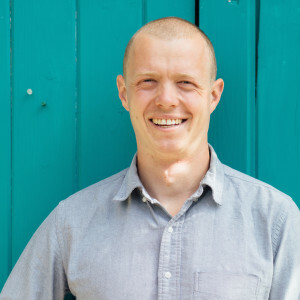 Founder of the Vancouver Tool Library and Lead Researcher with the Sharing Project, Chris is working with organizations in Vancouver to develop the local collaborative economy. Having served as a director, executive and founding member for several organizations in Vancouver, Chris is passionate about the building the social sector. 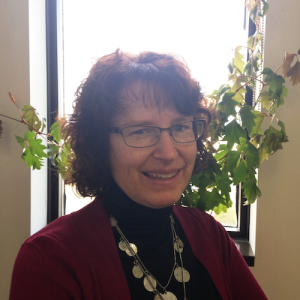 Christy Lyon is the newest member of the Western Canada Operations team for Progressive Waste Solutions. Christy joined PWS this summer from the City of Calgary after 16 years, 11 of which were spent in the Waste & Recycling Services business unit. Christy’s experiences in the industry have crossed the spectrum from strategy to operations. Although Christy would describe herself as an Albertan, she moved to Alberta from Ontario about 20 years ago. 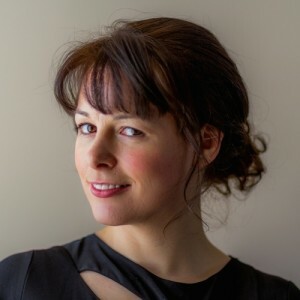 Christy earned her undergraduate engineering degree at the University of Guelph prior to moving to Alberta and earned her Masters in Business Administration at the University of Calgary. 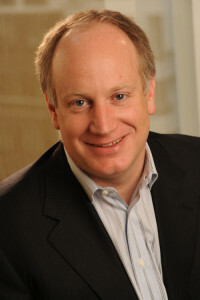 Clint is Executive Vice President and Chief Operating Officer for London Drugs Limited. London Drugs is one of the largest chain drug stores in North America by volume, and part of one of Canada’s oldest family retailing companies, the HY Louie Company Limited founded in 1903. Responsible for London Drugs’ award-winning and progressive sustainability initiatives, Clint has been asked to speak throughout North America on leading sustainability practices in retail. He contributes his time to the Recycling Council of BC as immediate past chairman of the board of directors. 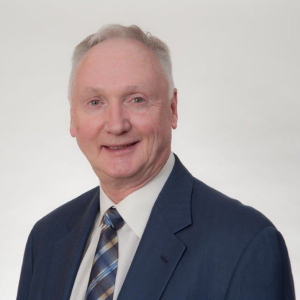 He is also a board member for the national Electronic Product Recycling Association, past board member of the Ontario Electronic Stewardship organization, a past member of Retail Council of Canada National Environmental Affairs Advisory Committee and their current Retail Advisory Committee for BC. Clint also sits on the Advisory Committee for the University of Alberta’s School of Retailing. He also speaks to the University of Victoria MBA classes on Community Building and Ethics in business. Under Clint’s leadership, London Drugs’ waste reduction and collaborative efforts with industry and community partners have been recognized by the Recycling Council of BC, Recycling Council of Alberta, Saskatchewan Waste Reduction Council, the Rechargeable Batteries Recycling Corporation, the Orbis Certificate of Merit for Environmental Responsibility, the Phillips PEAK Award, the national EnergyStart program and BC Hydro PowerSmart awards. London Drugs’ “What’s the Green Deal?” and “Bring Back the Pack” programs are recognized as examples of London Drugs’ unique approach to environmental stewardship. London Drugs was ranked as the number one most loved brand in BC for 2013, and the most trusted brand for 2013 and 2014, beating out many international brands and very large corporations. Denis Brisebois has worked for almost 35 years for major food chains, the last 15 years of which as Vice-President at Metro. In addition to managing Metro’s affiliated and franchised stores, he is deeply involved in the application of Metro’s Social Responsibility Policy, particularly measures relating to packaging, residual materials management, energy use reduction and sustainable fishing. Previously, he held a variety of management positions in the areas of finance and store operations. Denis has a Bachelor’s Degree in Commerce from Université Laval. He has been sitting on Éco Entreprises Québec’s Board of directors since June 2009 and was appointed Chairman in April 2010. For the past 15 years, he also has been sitting on the Boards of several charitable organizations, including Mira. Elena Papakosta has served as Compliance Manager for Producer Responsibility at Dell Canada Inc. since 2008. In this role, she leads the implementation of provincial recycling regulations, including regulatory interpretation, service planning, information systems and process implementation, and communications. Elena has represented Dell on a number of industry and provincial boards in British Columbia, Saskatchewan, Nova Scotia, and Ontario, focused on environmental compliance and responsible electronics recycling in the technology industry between 2009 and 2012. Prior to joining Dell, Elena spent ten years in Marketing and IT Project Management at TELUS Communications in Burnaby, British Columbia. Elena is a certified Project Manager, a certified ITIL practitioner, has studied Marketing and Computer Programming at British Columbia Institute of Technology, and serves several volunteer causes including the Cancer Foundation, MS Society, Arthritis Society, and Boys & Girls Club in Langley, British Columbia, where she works and lives. Over the last 10 years, Francis has been visiting almost yearly plastic recycling facilities in China, Chinese federations of plastic recyclers, and Chinese authorities to get a good understanding of the use of plastic material sent to China for recycling, and of the remarkable evolution which took place in the Chinese plastic recycling industry over the last years. Francis has been active in Europe for more than 20 years in organizing producer responsibility schemes for packaging. From 1994 until 1998, he was a consultant at PriceWaterhouseCoopers, responsible for the organization of several EPR systems (packaging, batteries, etc.). For more than 15 years, Francis has been active as director of VAL-I-PAC, the Belgian take-back scheme for industrial packaging. Since 2003, he has been appointed as president of EPRO, the federation of European plastic recycling and recovery organizations. EPRO has 18 members from 15 countries (members from European countries, Canada and South-Africa). Francis holds a PhD in Agricultural Sciences and a Master in Business Management. Garth Hickle is the product stewardship team leader with the Minnesota Pollution Control Agency (MPCA). He has been with the MPCA since 1996 working on product stewardship for various products including packaging, electronics and carpet. He is a board member of the Global Product Stewardship Council, the Sustainable Electronics Recycling Initiative and the Electronics Recycling Coordination Clearinghouse. He is also a Senior Lecturer at the University of Minnesota. Garth holds a B.A. from the College of Wooster, a M.S.E.L. from Vermont Law School and a M.A. from Hamline University and is a Doctoral Candidate in Industrial Ecology and Sustainability at Erasmus University in Rotterdam, the Netherlands. Glenda Gies & Associates Inc.
Glenda is the principal of Glenda Gies & Associates Inc. and has been involved in designing and delivering waste diversion programs for more than 30 years. During the 1980s, Glenda launched curbside and depot collection of packaging and printed papers in the Region of Durham. As the first Executive Director of Waste Diversion Ontario, Glenda guided industry funding organizations in the development and implementation of diversion programs under the Waste Diversion Act. During the past few years, Glenda led project teams to develop a producer responsibility program for residential packaging and printed paper for Multi-Material British Columbia and a shared responsibility stewardship program for residential packaging and printed paper for Multi-Material Stewardship Western. Heidi has been a leader in the solid waste industry in California for 25 years, working with industry, government and the public to reduce waste, improve product design and recyclability, and implement cost-effective projects and policies which protect the health and the environment. Collaborating with local government leaders, Heidi was one of two original co-directors of CPSC that was established in 2006 to change the way product waste is funded and managed in California; she has since become a nationally recognized thought leader and driver for innovative product stewardship programs across the country. Heidi’s collaborative, tenacious problem-solving approach has delivered unprecedented success in developing Extended Producer Responsibility (EPR) public policy at national, state and local levels. She has engaged diverse stakeholder groups to create and promote best-in-class producer responsibility programs for pharmaceuticals, mercury thermostats, carpet, paint, and batteries. Nationally, Heidi was instrumental in adoption of EPR policies by the National League of Cities (NLC) and the US Conference of Mayors. Through CPSC, she successfully co- sponsored AB 2347 with the Sierra Club, creating the first EPR law in California for mercury thermostats. Heidi has also influenced the formation of product stewardship councils in New York, Vermont, and Texas which passed EPR legislation. Maybe most significantly, Heidi provided technical support to Alameda County as it adopted the first EPR ordinance in the country which was then challenged by PhRMA and two other producer associations – Alameda won in the 9th circuit and appeals courts. In December 2014, the pharmaceutical associations then filed an appeal to the U.S. Supreme Court. The high court will decide whether the court will hear the case or let it stand. Alameda is leading the country in determining the “legal rules of the road” in regards to local government authority to hold producers of products responsible for their management at end of life. San Francisco has introduced a similar ordinance. In the California state legislature, there are competing bills supporting the EPR policy concept and undermining it with more local government mandates for household hazardous waste to be collected door to door. Which way California goes could determine the direction for the nation. Heidi speaks throughout the world on the subject including conferences such as the International Packaging EPR conference in Brussels Belgium in 2010 and the Australian Stewardship Conference in Perth Australia in 2012. 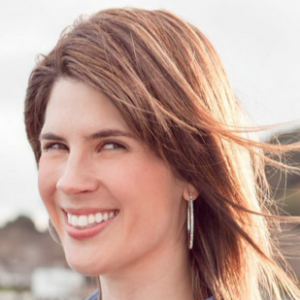 She is frequently published and recently interviewed on National Public Radio and quoted in the San Francisco Chronicle and Wall Street Journal on the subject. Heidi earned a B.A. in Political Science – Public Service from the University of California at Davis and a Master of Public Administration from the University of Southern California. She lives in Sacramento with her husband Brad Sanborn and they enjoy outdoor adventures and volunteering at the animal shelter to foster neglected dogs. 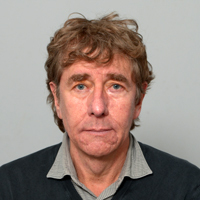 Herman Huisman is senior advisor / expert and coordinator international projects of RWS Environment’s department. The waste management department is the competent authority responsible for monitoring of all waste streams, executing subsidy schemes, policy advisor for State Government and providing information to local government and private companies. 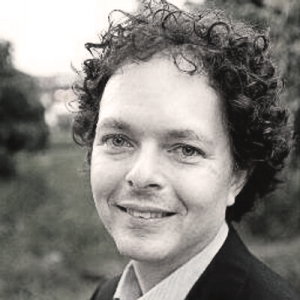 An environmental biologist by training, Herman began his career at the Scientific Council for Government Policy, a think tank of the Prime Minister in the Netherlands. After seven years, he was assigned to build up the Commission on Environmental Impact Assessment. In 1991, Herman was asked to set up the Bureau of the Waste Management Council, which served as a political platform for consultation and coordination between the National, Provincial, and Municipal authorities on waste management in the Netherlands. In 2001, he was appointed as the executive secretary of the Council and managing director of the Bureau. In 2005, the Bureau merged with NL Agency, an Agency of the Ministry of Economic Affairs. In 2013, the Environment Division of NL Agency was transferred to RWS, an Agency of the Ministry of Infrastructure and Environment. In his position of international coordinator, he is/was involved in projects in Brazil, Bulgaria, Canada, China, Colombia, Czech Republic, Hong Kong, India, Jordan, Macedonia, Morocco, Poland, Romania, Turkey, Serbia, South Africa, UAE, and was invited as speaker to many International Conferences. Likely influenced by her family’s agricultural ties, Jane left her federal position at Industry Canada and moved to Alberta 12 years ago. Completing a diploma program at Olds College and receiving her Certified Crop Advisor, Jane started her career with Mountain View County as a summer student, and moving up over the years, she has been the Manager of Agricultural Services for over 4 years. 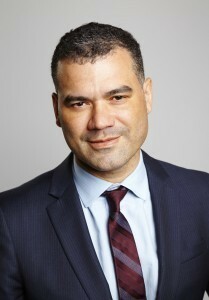 Jason Grier is the Senior Advisor, Policy and Public Affairs for the Canadian Newspaper Association (CNA). As a consultant for the CNA over the last few years, Jason has been responsible for advancing the industry’s issues in Ottawa and in provincial capitals across the country. Key priority issues for the industry include product stewardship programs, government advertising, and access to information. Prior to taking on his current role with Newspapers Canada, Jason was a vice-president of the Canadian subsidiary of a major multi-national communications consultancy, representing a wide variety of business and not-for-profit clients with public affairs needs. In the public sector, Jason worked at both the federal and provincial levels. He served as chief-of-staff to Ontario’s health minister, as well as an advisor to the federal ministers of health, transport, and public works. Jean-Luc Plante is ÉEQ’s Vice-President, Optimization. An accomplished manager with more than 25 years experience working for various manufacturing corporations, including Sanimax, Uniboard Canada and Kraft Canada, he is known for his strategic and organizational skills as well as his ability to motivate teams in a climate conducive to success. Jean-Luc has a Bachelor’s Degree in Chemical Engineering from Université de Sherbrooke and a Marketing Certificate from the Hautes Études commerciales. As an expert in his field, he excels in establishing and implementing North-American scale strategic environmental plans, as well as community relations programs. Jessie is the Waste Diversion / Recycling Coordinator at the University of Alberta. Her responsibilities include the planning and implementation of the waste diversion / recycling program, identifying annual targets for diversion rates and developing strategies to meet these targets. 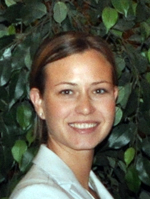 Jessie analyzes current operations, provides recommendations and feedback on expanding the delivery of services and is responsible for researching best practices for waste diversion / recycling and solid waste procedures. Jessie also oversees and administers training to internal and contracted staff members on the correct procedures related to waste diversion / recycling at the U of A, and plays an integral part in the coordination and support of the U of A team carrying out the BOMA BESt building certification program. Previous to working at the U of A, Jessie worked in the waste management industry for two years with a specific focus on waste diversion for institutions and municipalities. Jessie enjoys gardening, running, hiking, camping, dancing and has always been keen on environmental sustainability. Jo-Anne St. Godard has been Executive Director of Recycling Council of Ontario (RCO) since 2004, and plays a key role in furthering waste reduction and recycling in Ontario and beyond. 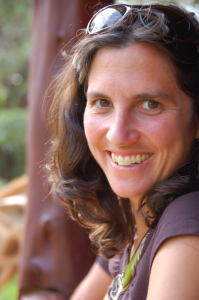 Her expertise relates to development of policies and practices that drive positive environmental outcomes under market-based approaches, and how they relate to stewardship and extended producer responsibility. In doing so, she applies demonstrated best practice on waste policies that balance environmental and economic interests to achieve results. Jo-Anne also works with business and industry to help them understand and leverage opportunity from their environmental obligations and business models, and has led the development of innovative programs that support waste reduction in the commercial sector through Take Back the Light and 3RCertified, and in youth education through the Waste-Free Lunch Challenge. Joachim Quoden has extensive experience in packaging waste management, dating from 1992, when he spent 4 months in the German Federal Ministry of Environment working on packaging issues including the German Packaging Ordinance. From 1993 to 2006, he worked with Der Grüne Punkt – Duales System Deutschland GmbH (DSD), where he was appointed head of International Affairs in 2001. Between 2001 and 2013, he also became Secretary General and later Managing Director of PRO EUROPE, the umbrella organization of at this time 35 packaging recovery organizations. Since 2013, Joachim has been the Managing Director of EXPRA, a new alliance of PROs of currently 23 packaging recovery organizations from 21 countries. 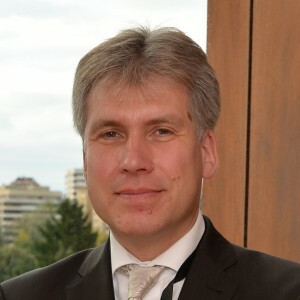 In addition to the above, he has been working since 1995 as an independent lawyer in Germany specializing in international EPR legislation, chairperson of ISWA’s legal working group, and he has served as an expert in ISO global standardization project SIS/TK 165/AG 10 Packaging and Environment. 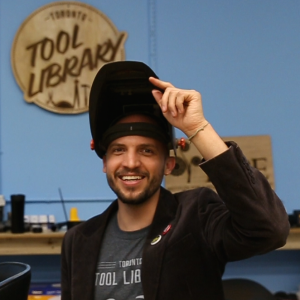 Lawrence Alvarez is the President of the Institute for a Resource-Based Economy (IRBE), and co-founder of the Toronto Tool Library. At IRBE, and through the Tool Library, Lawrence and his team strive to challenge our perceptions of ownership, and our relationship to the Earth’s resources, which are the common heritage of us all. Born and raised in Zimbabwe, Lawrence has lived in Botswana, Canada, South Africa, and Argentina. His passion lies in travel, exploring human relationships and our shared experience, and finding the connections between us. Lawrence is a speaker and community activist. He has delivered talks on new technology and education, and on the sharing economy and how it will define our future. He also likes to say that half his income comes in the form of kindness and reputation. For more information, visit www.LawrenceAlvarez.com. Lisa Dyer is the Director of Environment for Environment and Natural Resources Department of the Government of the Northwest Territories. 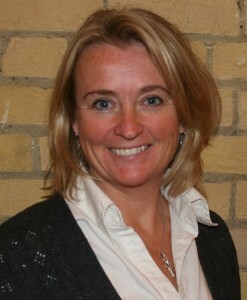 Her division is responsible for the delivery of waste reduction and recycling initiatives in the Northwest Territories. Lisa has been living north of 60 for over 23 years and during this time she has been involved in the development of numerous composting, recycling, and waste management initiatives. She is a graduate of Queen’s University Engineering Program. Mrs Dussault holds a Masters’ Degree in socio-economic geography from Laval University. She has been working for the Québec Environment Department for over 26 years. 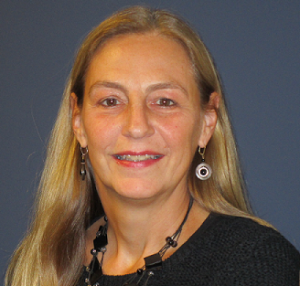 First involved in impact assessment studies on various industrial, transportation, and energy-related projects, including waste incinerators and disposal sites, she has been with the Waste Management Branch since 1996. She was instrumental in the development of the Quebec 1998-2008 Residual Material Management Policy as well as the current Policy and its 2011-2015 Action Plan, in particular on matters related to Extended Producer Responsibility, municipal recovery programs and Regional Planning. Currently the Coordinator for the EPR and Recyclables Recovery Programs Division, she is responsible for the development and interpretation of the EPR Regulation and the Compensation Regime for municipal recovery programs. Matthew Cotton is the owner of Integrated Waste Management Consulting, LLC (Nevada City, California). He has over twenty-five years of experience in solid waste management planning, permitting, policy, regulatory compliance, and composting. During this time, he has worked as a consultant, educator, researcher, and advocate for new and expanded organics recycling and composting programs in California and beyond. In over 25 years of work, Matthew has completed hundreds of significant solid waste projects, including permitting and assisting in the development of some of the major composting facilities in California. His company serves public, private, and institutional clients. Matthew has served on the US Composting Council Board of Directors since 1999, he was elected President of the Board in 2006, 2007, and 2008. He also serves on the Board of Directors of Californians Against Waste. He has published research on compost odors, compost use, climate impacts, compostable plastics, and compost facility infrastructure. He also teaches compost facility operator training and related courses for the US Composting Council, the Solid Waste Association of North America, the California Resource Recovery Association, and others. 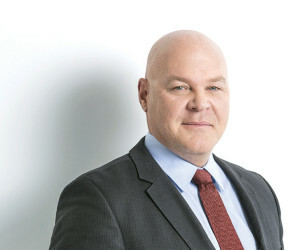 Michael Goeres was appointed Executive Director of the Canadian Council of Ministers of the Environment (CCME) in 2010. CCME is the primary minister-led intergovernmental forum for collective action on environmental issues of national and international concern, and is comprised of the environment ministers from the federal, provincial and territorial governments. As Director of Corporate Services from 1997 to 2010, Michael was responsible for CCME’s publications and internal operations while also helping to guide development of a number of CCME policy files. Prior to joining CCME in 1997, Michael was Director, Finance and Administration with the Canada Grains Council Inc., an industry association of the Canadian grain trade. He was founding Executive Director of the Manitoba Intercultural Council, a provincial agency created in 1982 to provide policy advice from ethnocultural communities to the Manitoba government. Michael was recognized as one of Canada’s 2015 Clean50 for his contributions to sustainable development and clean capitalism. Michael, born and raised in Saskatchewan, is an alumnus of the University of Saskatchewan and of the University of Manitoba. Michael and wife Ursula, who practices criminal law, have three children. Michelle Hannah is a Waste Reduction Specialist with the Government of the Northwest Territories’ Department of Environment and Natural Resources. She works as part of a growing and dynamic team to create and manage programs to reduce waste in the Northwest Territories. The low waste volumes and high transportation costs of one of the most remote and sparsely populated regions in the country provide strong incentive for source reduction and local solutions over other options. In her seven years with the GNWT, the department has expanded the Beverage Container Program, created the Single-use Retail Bag Program, and laid the groundwork to roll out an electronic products recycling program in the new year. The Waste Reduction and Management team also manages funding to communities, individuals, organizations and businesses to reduce, reuse or recycle waste in their community; and works to green the GNWT’s operations. Michelle studied Environmental Protection at the University of Guelph, and has lived, worked, and danced in Canada, Scotland, Mozambique, and Uruguay. When not frozen in, she lives afloat and off the grid on Great Slave Lake. Mike Meinhardt is the Sales & Marketing Manager for RedHat Cooperative, a co-op of Southern Alberta Area Greenhouse Vegetable Growers. Mike joined RedHat and the produce industry in 2011 after several years in Sports and Consumer Packaged Goods Marketing. 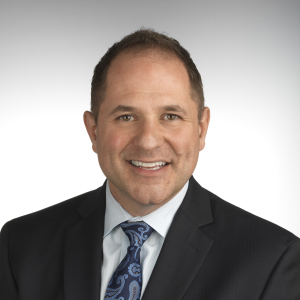 In 2013, Mike Samson was appointed Chief Executive Officer (CEO) of the Multi-Materials Stewardship Board (MMSB), a Crown agency of the Government of Newfoundland and Labrador that manages and implements waste diversion and recycling programs in the province. Prior to joining MMSB, Mike worked in the public sector for more than 25 years. In 2006, he was appointed CEO of Emergency Planning, Fire and Emergency Services where he guided implementation of an emergency management strategy designed to develop and maintain a modern and robust emergency management system in Newfoundland and Labrador. Previous senior positions include Deputy Minister of the Department of Fisheries and Aquaculture, and Deputy Minister of Labrador and Aboriginal Affairs. 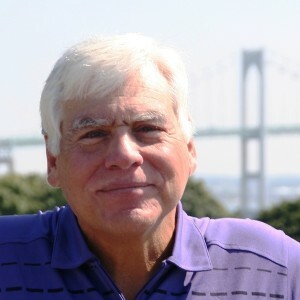 In 2009, Mike also served as interim Chair and CEO of MMSB. Mike graduated with a Bachelor of Arts in Political Science and Economics from Acadia University and later pursued graduate studies in Canadian politics at Memorial University. Mike resides in Torbay with his wife Joanne and daughter Emily. Neil Hastie has been named the Development Director and spokesperson for StewardChoice Enterprises Inc. and he is leading the latest stewardship organization to enter into the British Columbia EPR market. Neil’s role is to help in the development and implementation of the proposed recycling plan which may begin as early as 2016. StewardChoice will, in the most cost-effective way, support producers who are obligated under the BC Recycling Regulation to recover at least 75% of their packaging and printed paper materials they place onto the BC market. Neil will also be looking for new opportunities to work with recycling service companies to expand areas of service in BC. He will play a significant role engaging with recycling organizations, municipalities and NGOs to find solutions to enhance the recovery of recyclable material in BC. Prior to joining StewardChoice, Neil was the President and CEO of Encorp Pacific (1998-2013), a BC-based Product Stewardship Corporation. For more information, please visit www.stewardchoice.ca or contact Neil directly at nhastie@stewardchoice.ca or 604.360.8870. Peter Hargreave is the Director of Policy & Strategy for the Ontario Waste Management Association (OWMA). The Ontario Waste Management Association is a non-profit industry association, which represents the private and public sector involved in all aspects of waste management from organics and recycling to hazardous waste, energy from waste and landfill. It also represents generators and those providing services and equipment into the waste management sector. Peter is responsible for strategic planning, policy development, research, and advocacy. Peter joined OWMA in 2011 after many years of working for the Ontario government on policy, ranging from extended producer responsibility to tax reform. Russ Martin is CEO of the Global Product Stewardship Council, Director of consultancy MS2 and 2015 Global Green Future Leadership Award winner. 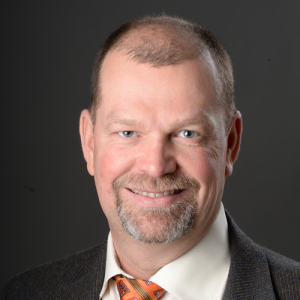 Russ has over 25 years experience in product stewardship, public policy and sustainability, both in government and as an advisor to industry and governments. These roles have been in the US, Australia, New Zealand and Middle East. Russ advised the Australian Government on development of product stewardship framework legislation and the designation of priority products. 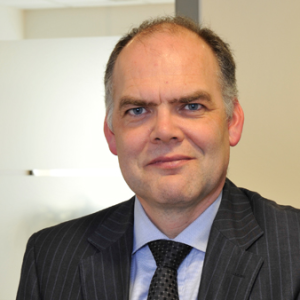 He served as the Independent Chair leading development of a national product stewardship approach for handheld batteries in Australia and led technical content and stakeholder engagement on a national product stewardship framework for e-waste in New Zealand. Russ has also led public policy and business case development for national product stewardship approaches for packaging, batteries and paint. Russ has delivered major presentations in China, Singapore, Belgium, the US, Canada, Australia and New Zealand on product stewardship and sustainability for products ranging from packaging to electronics and hazardous wastes. Russ has worked for twenty years in local government utility operations with a focus on financial and strategic management. 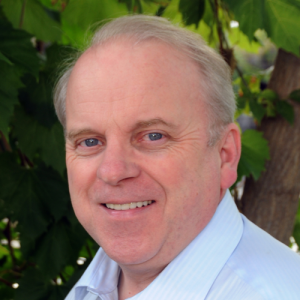 In 2011, Russ moved to Vancouver Island to take on the role of Senior Manager, Environmental Resource Management for the Capital Regional District in Victoria. Russ’ primary area of responsibility with the CRD is regional solid waste management focused on financially sustainable waste diversion, resource recovery and residual management. Shayne and his business partner started Calibre Environmental in 2003 when they realized unwanted paint was being destroyed instead of recycled. They conducted some research on how to recycle latex paint and visited the very first paint recycling facility in North America to learn the processes. In those early years, before paint stewardship was implemented in Alberta, they were recycling less than 50,000 litres per year. Today, Calibre Environmental is recycling over 900,000 litres of latex paint per year. Shayne Butcher was born and raised in central Alberta. He has been an owner/director of The Calibre Group for 26 years. He resides in Calgary and has been active in raising money for local children’s charities for 14 years. Shayne’s main passion is spending as much time with his family and friends as possible. 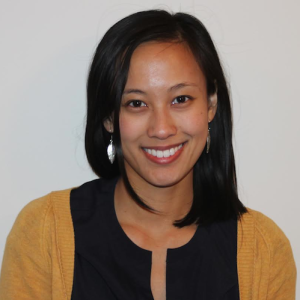 Stephanie Woo is a Technical Advisor at Metro Vancouver, where her focus has been on outreach, education, and resource development during the implementation of Metro Vancouver’s Organics Disposal Ban. Before working at Metro Vancouver, Stephanie worked for two years at local municipalities where she coordinated residential curbside collection programs and other recycling and waste management initiatives. Stephanie also holds a Master’s degree in Environmental Science from the University of Toronto. Stephanie enjoys cycling, baking, walking her dog, and convincing her friends and family to use their green bins. Umberto Raiteri is the President and CEO of European Recycling Platform (ERP). In this role, he is responsible for the management of ERP’s activities across Europe; in eight years he has driven the growth of ERP to reach 100M€ turnover, 2500 member Companies and operations in 17 countries. He works closely with ERP’s local management teams to develop and enhance ERP’s position as the key player in the WEEE compliance market in Europe. Umberto has 28 years of leadership experience in the European business environment, covering different responsibilities at local and European level within the Electrolux Group, where he held various senior managerial positions before being appointed as General Manager for ERP Ireland in 2005. Under his leadership, he guided the creation and start-up of the first ERP local entity, and consequently in August 2006 he’s been appointed responsible for ERP in Europe. During his tenure, ERP Europe saw its turnover and membership quadruple in size and its credibility being established as a leading stakeholder of the WEEE business in Europe. Umberto is 55; he is married with one child and has a degree in Industrial Engineering from University of Udine in Italy. Victor Bell is a Certified Packaging Professional with more than 25 years of experience with environmental issues associated with packaging and products. 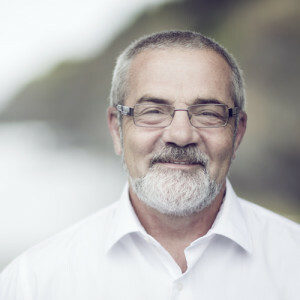 In 1998, Victor founded Environmental Packaging International (EPI), a consultancy that advises global brand owners, retailers, and all segments of the packaging industry on a wide range of environmental compliance, product stewardship and sustainability issues related to packaging and products. 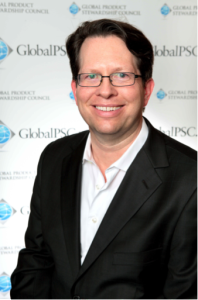 He is a member of the Sustainable Packaging Coalition (SPC) Executive Committee, a co-chair of the effort to integrate the GPPS metrics into the Data Synchronisation Network, was a member of the Consumer Goods Forum GPPS project team, and served on the US delegation for the development of the ISO standards. Victor received his MMA (Marine Affairs) and BS (Natural Resource) degrees from the University of Rhode Island and an MS (Urban and Environmental Studies) from Rensselaer Polytechnic Institute. 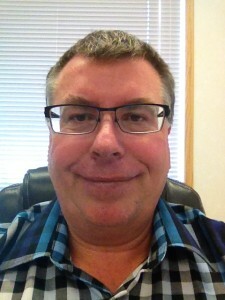 Wayne Elias is the Operations Manager at United Concrete & Gravel Ltd in Quesnel, BC. He started his career working for a large ready mix producer in the lower mainland for 20 years. After that, he worked in the cement industry for 10 years and that is how he developed a relationship with the owners of United Concrete. Wayne watched them develop this process of making sandblasting abrasive from recycled glass and he was taken by their determination and working through challenges that were continually thrown at them, but sheer tenacity kept them determined to succeed. After they had struggled with it for a few years with limited success, they needed some help with a marketing strategy and that is when they worked out a plan for Wayne to join in. Since then, they experienced extremely strong growth in the business as the product they produce is widely favored in the industry for cost as well as health & safety. They now have expanded their glass recycling to include a recycling facility in Abbotsford, BC, where they produce approximately 50,000 tonnes annually of furnace-ready glass for the bottle manufacturing industry from the beverage deposit system in BC. It is a perfect recycling story where the glass just keeps going back to glass, ongoing.